ISLAMABAD/RAWALPINDI: Prime Minister Nawaz Sharif on Saturday picked up General Qamar Javed Bajwa as the 16th Chief of Army Staff (COAS), putting an end to weeks of intense speculation pertaining to appointment on the powerful post. General Bajwa will take command of the Pakistan Army from incumbent Army Chief General Raheel Sharif on November 29. Meanwhile, General Zubair Mahmood Hayat has been appointed Chairman Joint Chiefs of Staff Committee (CJCSC). Incumbent CJCSC General Rashad Mahmood is also set to retire on November 29. 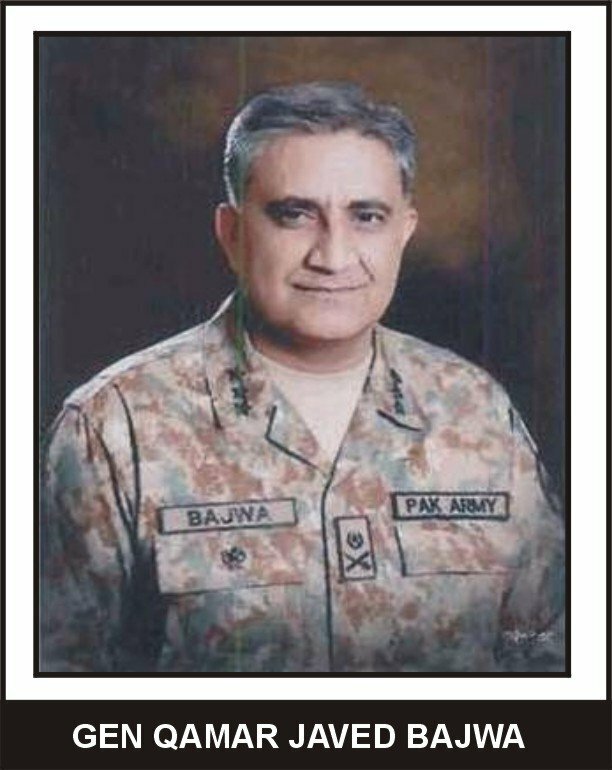 General Qamar Javed Bajwa was commissioned in 16 Baloch Regiment on 24 October 1980. He is graduate of Canadian Forces Command and Staff College, (Toronto) Canada, Naval Post Graduate University, Monteray( California) USA, National Defence Univesity, Islamabad. He has commanded 16 Baloch Regiment, an Infantry Brigade and has commanded Infantry Division in Northern Areas (Commander FCNA). General Bajwa has also commanded Pakistan Contingent in Congo. He has commanded Rawalpindi Corps, and his last position was Inspector General Training and Evaluation at GHQ. 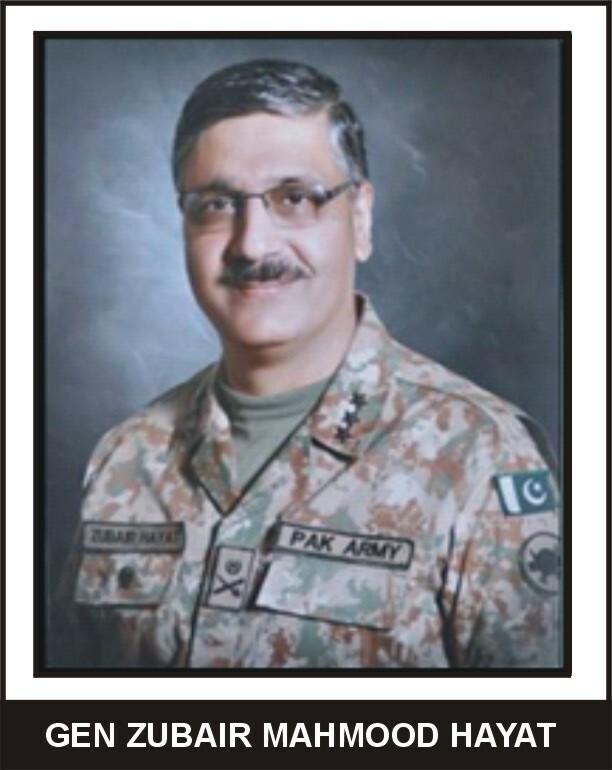 General Zubair Mahmood Hayat, graduated from Command and Staff College Camberley, United Kingdom, and National Defence University, Islamabad. The general served on key posts throughout his career. As a major general, Hayat served as General Officer Commanding (GOC) Sialkot and led Staff Duties Directorate. He was elevated to lieutenant general in January 2013 and was instated as corps commander Bahawalpur. He was later appointed as the director general (DG) of the Strategic Plans Division in December 2013. The division, formed in 2001, is vital to research for and development of Pakistan's nuclear weapons, and it works as the secretariat of National Command Authority. Hayat hails from a military family. His father retired from Pakistan Army as a major general. One of Gen. Zubair's brother, Lt. Gen. Umar Hayat, is serving as chairman of Pakistan Ordinance Factory Wah Cantt. Defence Minister Khawaja Asif extended his good wishes for the new army chief saying, "The military policy would continue and there would be no immediate change in it". "The focus will remain on country's eastern border and the armed forces backed by the nation will meet all challenges," he said, while speaking to Geo News. "The legacy of General Raheel Sharif would continue in the light of the examples he set," Asif added. The defence minister expressed hope that the government and military leadership will continue to work together for the betterment of the country. Meanwhile, Prime Minister Nawaz Sharif held a meeting with President Mamnoon Hussain at the President House in Islamabad. The premier took the president into confidence on key military appointments. The two figures also exchanged views on affairs of national importance. The two generals appointed on key military posts called on Prime Minister Nawaz Sharif shortly after their appointment was announced. Army chief designate Gen. Qamar Javed Bajwa and nominated CJCSC Gen. Zubair Mahmood Hayat held meetings with the premier at PM House, Islamabad. The ceremony for the change of command of Pakistan Army will be held at the General Head Quarters (GHQ) Rawalpindi at 10:30 am on November 29, according to sources. The outgoing Army Chief General Raheel Sharif will hand over the 'command stick' to General Qamar Javed Bajwa during the ceremony. General Raheel Sharif will attend the ceremony as the chief guest. Former army chiefs, and senior military officials will also be present at the Change-of-Command ceremony. It will also have federal ministers, members of the Parliament and foreign diplomats in attendance.